With a roof over their heads, countless squirrels to chase, and what seems to be an endless supply of pets and pats, it can be easy to envy a dog’s life. While we may mainly see only wagging tails and wet noses, a dog’s life can be a stressful one, and your dog may be experiencing some stress of its own. Unfortunately, many of our pets are troopers and owners aren’t able to detect stressors in their dog’s environment until symptoms appear. The best way to combat stress and set your dog up for success is with WINPRO blood protein supplements. when it becomes chronic, it can become a real issue and oftentimes the cause is stress. Therefore, it’s important to consider all potential internal and external factors that might elevate your dog’s stress level. Changes in diet: If you run out of your dog’s favorite food and borrow some from a neighbor for a night, that’s perfectly fine. But if you're constantly shopping the sales or switching up the cuisine on your dog, this could lead to a lot of internal stress that could have other unfriendly side-effects such as vomiting, constipation, and other digestive issues. Find the best food for your dog and stick with it. Infection & toxins: Think of all the things we do to avoid getting sick or missing work. As your dog can’t do the same, be sure to keep an eye on them during peak sickness seasons (WINPRO Immunity is a great back-pocket defense weapon.) Sometimes sickness is inevitable, though, and it might not be as easy to detect as you may think. Sometimes a dog’s reaction to an infection or sickness is to simply “sleep it off” (we’re sure you’ve heard that one before), or you’ll find them to be more lethargic. Because dogs can quite comprehend what being “under the weather” necessarily means, the result is even more stress which could lead to an elongated or more severe sickness. Space & Travel: Though travel anxiety is fairly common in the canine world, what pet parents don’t often think about is what causes it. While yes, the concept of the moving vehicle could be the one and only cause, the smaller space or being confined in the car can also be a contributing factor. The combination, therefore, makes traveling a big source of stress for your dog. Similarly, if you kennel your dog during the day, or section off certain parts of your home, know that this might be a factor in your dog’s chronic inflammation and/or elevated levels of stress. Competition & Separation: As a dog owner, you are your dogs whole world; therefore extended periods of separation can be hard for your pup. Similarly, if there’s more than one dog or pet or if you’ve recently welcomed a baby or other people into your home, know that it could be a source of stress not only for you but for your dog. 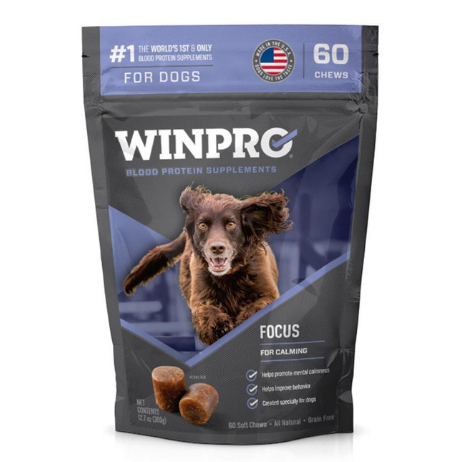 While it may not be possible to eliminate or alleviate all of the stress factors that may be at play with your dog, you can combat stress and anxiety with WINPRO Focus. Our formulated blend of animal blood proteins that make up our signature K-Thrive Formula D directly combats the inflammation at work, helping to quickly calm your dog and take the edge off without making him lethargic. 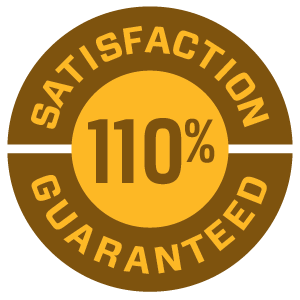 See what WINPRO can do for your dog by accepting our WINPRO 20-day challenge. Because seeing is believing. You shouldn’t have to live a dog’s life and neither should your dog.